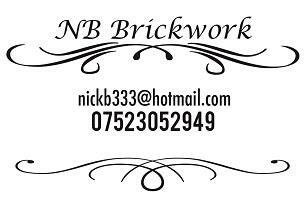 Hi I’m Nick, this is my family run Brickwork Specialist business. NB Brickwork provides you with a very good service at competitive rates. I have 20 years' experience in the construction industry. I am proud of my reputation which is built on recommendations and I look forward to being able to help you during your next project.